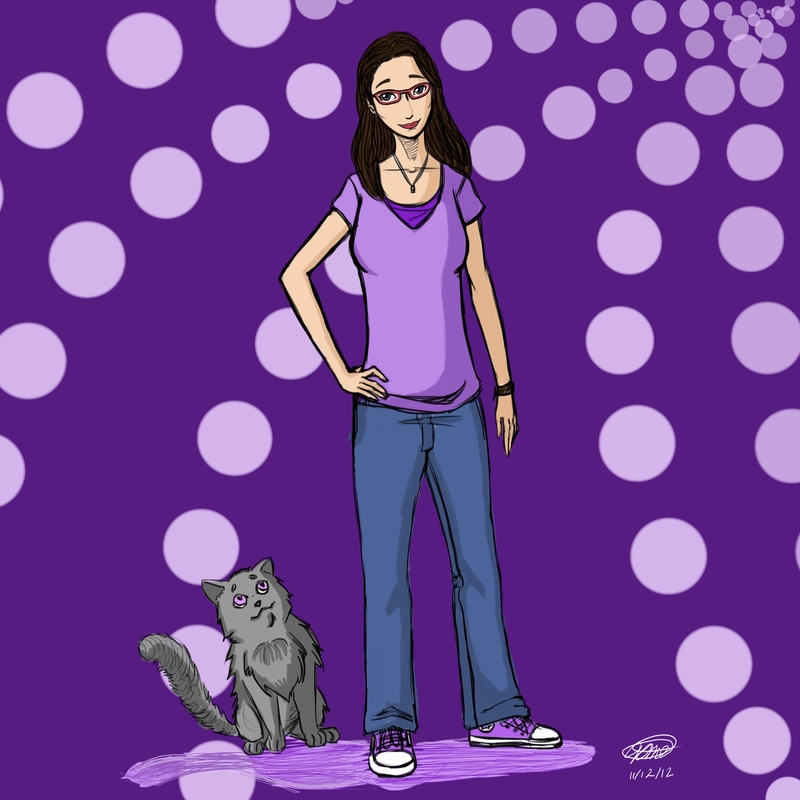 Previous Post Introduction on How to Improve your Writing Swagger. Next Post Domo arigato Mr. PR2 roboto? Hey that’s my phrase!!! Aww you can use it…I don’t even want royalties. Oh an in response to your post, I realized a while back that I loved to write, but the odds of becoming a successful and financially stable fiction writer are only slightly better than those of me becoming a starting QB in the NFL. I still enjoy writing fiction, but I enjoy having money in the bank as more. I don’t mind writing content for others, as long as the pay is good. It can get mind numbing but so can any job, and that is what writing it. It is a job. Fortunately, I can take a break whenever I want. I can take multiple days off in the middle of the week to work on other projects. Most people cannot just skip town when their jobs are weighing them down. I can. For that, I’m thankful. 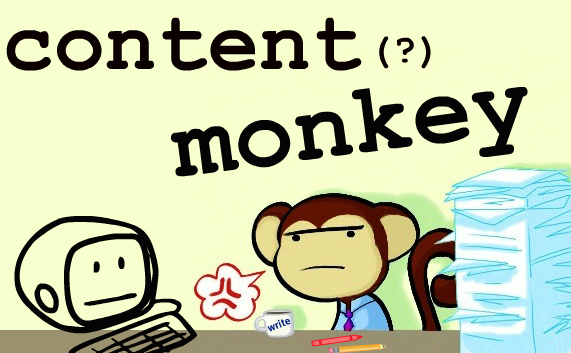 Frankly, I don’t mind being (or being called) a content monkey. It pays the bills, and it doesn’t nearly stiffle creativity as you might think. My job is to take my ten or twenty clients, and produce a good solid blog post for them once a week. I take the photos, and I usually set the agenda. Oh sure, one of my barista’s might ask me to post on Valle Centrale in Costa Rica, but for me, those kinds of posts are fun to research and write. Oh sure, it gets hard to push through on the novel sometimes, but c’est la vie, eh? You seem like you are much further along in your writing career than me. I have yet to begin my novel, most likely out of fear. I’m such a perfectionist when it comes to writing, and with novels it’s usually best to throw those rules out the window before preceding outside to beat them with a baseball bat. The site for which I do my freelance work isn’t full of requests for interesting or informative articles; instead, half of the articles are all about SEO and incorporating keywords. I really hate those articles. I guess my main complaint about being a “content monkey” is that these AP Styleguide rules are stuck in my head and I can’t seem to think outside of the box like I used to. Does that make sense? I know that I need to flex my creative writing muscle more often, but it’s hard when writing is your only income. One day… one day I will be able to write for myself and only myself. That’s the plan. May I ask how you stumbled across my site? 🙂 Thanks for the comment!! Yep, it sure can. You have to make time for your own personal writing, lest you become burnt out.